A revolutionary alternative to hair dye. Foligain Anti-Gray uses a premium combination of natural scientifically researched ingredients to help let your natural hair colour flourish; all in discreet and convenient capsules. Looking great and staying confident has never been easier than just two discreet anti gray capsules a day. Colour change natural and discreet- no one will notice! 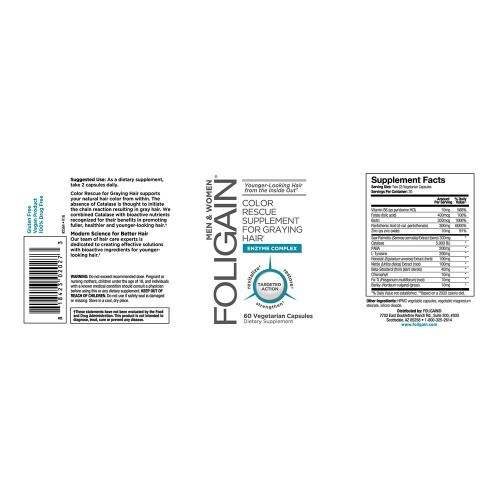 Foligain Anti Gray Hair Formula is used by many satisfied customers who are on a quest to reactivate near dead hair cells throughout the body. This action may help to restore gray hair back to its original colour. Remember, you can receive free delivery on all orders when you spend £50 or more and next day delivery on all orders purchased before 4pm! 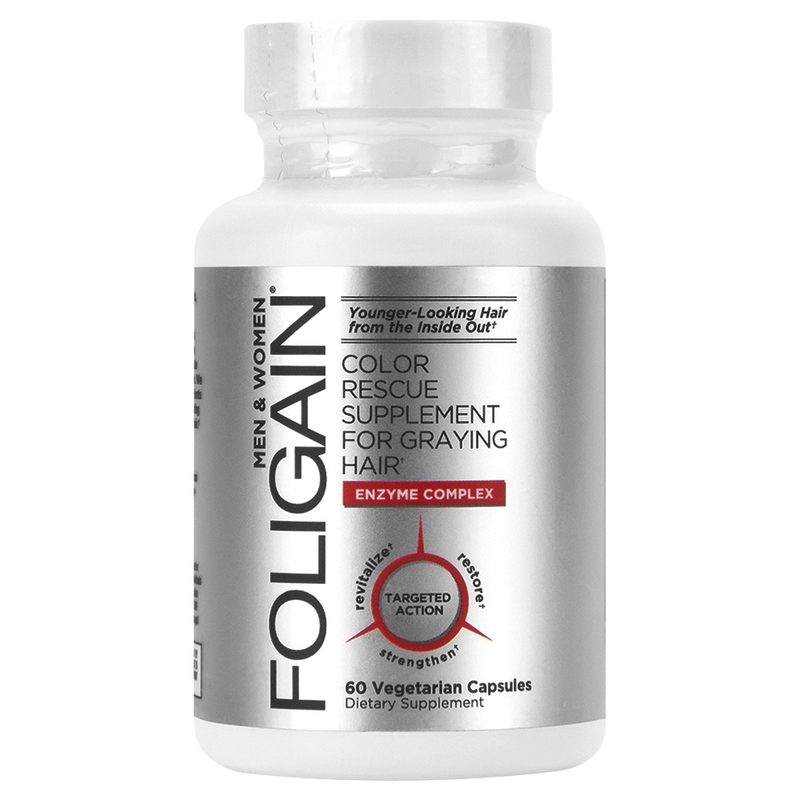 Foligain Anti Gray is a unique natural supplement developed to help maintain and enrich your natural hair colour. Going grey is disheartening whatever age you are. However, if it occurs earlier on in life, such as in your 20’s, it can be especially damaging to your self-confidence. One of the major advantages of using such an anti gray product like this one is that any positive colour changes are completely natural and discreet, meaning no one will ever notice you are combatting against gray hair! Foligain Anti Gray Capsules are also a great way of helping you decrease or completely stop the frequent need to dye and colour your hair using chemical compounds, which can often damage your hair health in other ways. By reactivating dormant or near dead pigment cells throughout the body has been known to help restore gray hair back to its original colour. 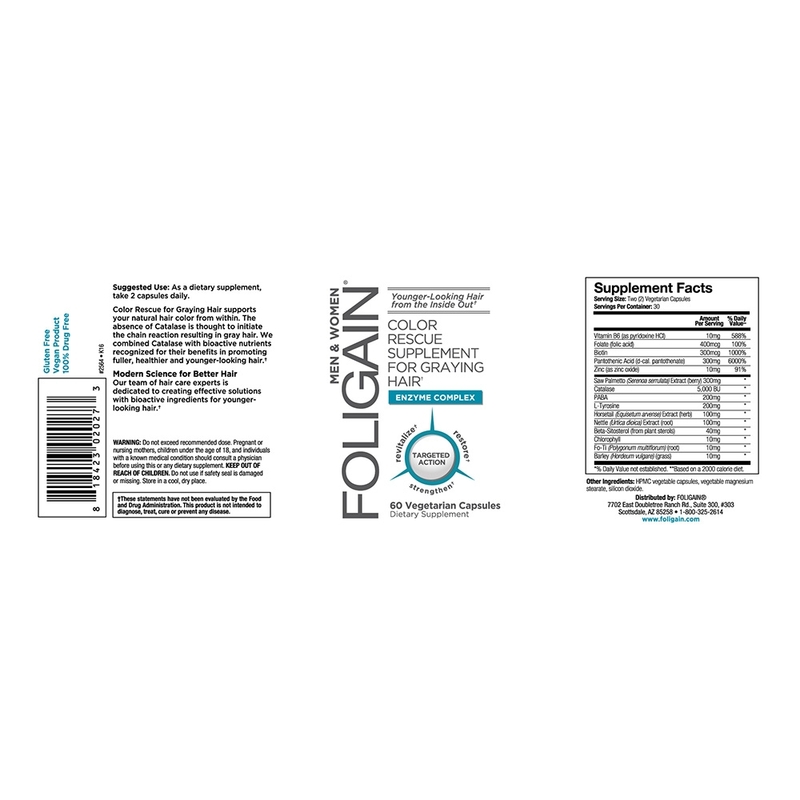 The Foligain Anti Gray capsules contain catalase; this property and lack of it, is believed to be an integral part of the chain reaction resulting in gray hair. Combined with other essential nutrients and vitamins needed for optimum hair health, this formula is able to not only tackle the colour of your hair but also the health, fullness and thickness of it. The revolutionary formulas is also known to maintain the body’s ability to produce melanin pigment, which contributes to the colour of hair you have. 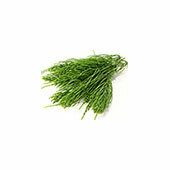 Horsetail (7% extract)This essential property not only maintains strong roots and protection for the scalp against irritation. It also retains moisture in the hair to help keep it looking glossy and bright, opposed to dull and gray like. 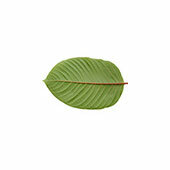 Plant Sterols (45% beta-sitosterol)A successful agent known to counteract stress hormones, which can contribute to gray hair. It’s worth bearing in mind that stress hormones can also affect hair loss as well as graying. 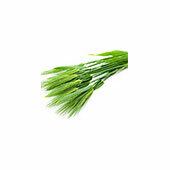 Barley GrassKnown to help maintain the molecular hair structure, which may eliminate the hair from prematurely loosing life. Not only may Barley Grass provide essential nutrients to your hair, it could potentially form a shield of protection believed to allow the gray hairs to eliminate themselves! Simply take two capsules a day regularly for best results. Consult your doctor before use if you are pregnant or breastfeeding. Keep out of reach from children and always store in a cool, dry place. Although Foligain Anti Gray capsules won’t restore your natural hair colour overnight, the majority of users report the preliminary hair health benefits in just few weeks of use. To experience long-term benefits, it’s advised to use this anti gray supplement for four to nine months, supported with healthy eating habits. Researchers at the University of Bradford in Great Britain have found that hydrogen peroxide might be the most harmful toxin affecting your hair. The ingredients of Foligain Anti Gray Capsules are known to counteract the toxin while providing beneficial nutrients support to your overall hair health. In short, this product is a complete hair supplement, as well as a gray hair control system. HairCareTotal offers the genuine bottle at a competitive price with the promise of fast and efficient delivery. You just need to click on ‘Add to Basket’ and proceed through our secured payment gateway. Remember that when you place your order by 4pm on any working day, you could receive your items by the very next day.